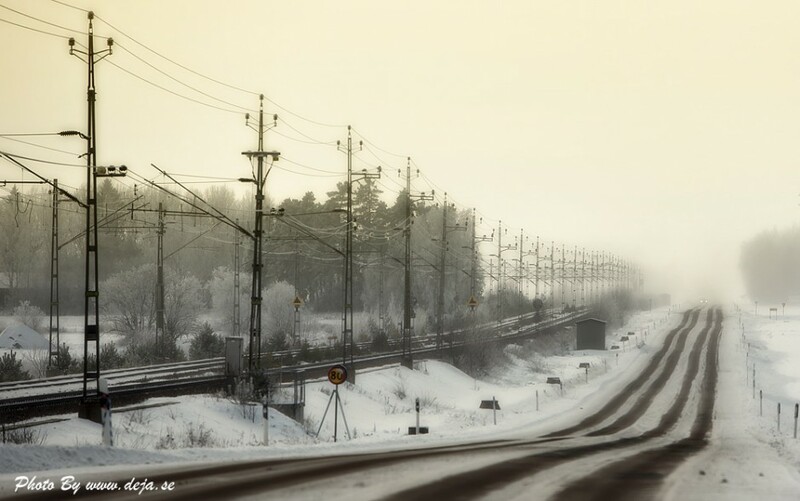 What a lovely capture of winter, great lines and contrasts. Like your image composition with these lines, the light and this wonderful winter atmosphere. Good work! Ett mycket tilltalande foto. Snyggt redigerat så färgen blev så bra. Tänk att något så vanligt och i vanliga fall inget vidare motiv kan bli så vackert i din tappning. Med hopp om en solig tisdag. Beautiful winters photograph, that just leads you into the distance the mist makes it look like it goes on for ever and ever. Great exposure that has captured the moment and feeling very well.